This article discusses the precipitous rise in real estate license suspensions and revocations and the responsibilities of brokers to sufficiently train and supervise their sales agents. Disciplinary actions taken against real estate brokers and agents by the DRE have spiked 60% over the last three years, revealing an unsettling trend as we emerge from the depths of the real estate market crash. As the California real estate market stalled and opportunities for thousands of newly-minted (read: inexperienced) real estate professionals halted, cases of abuse began to soar. It is a far too simplistic conclusion to roundly blame the Great Recession for creating a contingent of starved real estate licensees who will break the rules in order to get their fee. While it is certain that the downturn of the financial markets has revealed more corruption than was previously imaginable, many are oblivious to the true order of operations. These difficult financial times have not turned our real estate professionals into a gaggle of robber barons. Rather, real estate-related fraud and other violations are always present in a marketplace that is founded on the precepts of competition. During the Millennium Boom, a period in which brokers, agents and principals alike were delirious with profits, bad actors were less likely to be revealed — when everyone is consumed with their own money illusion, everyone is content, regardless of malfeasance and misconduct. Considering the massive infusion of inexperienced and ill-intentioned greenhorns into the real estate profession in the mid-2000s, one would expect an increase in violations to follow. A population increase of new licensees in a bull market, such as the one that occurred during the Millennium Boom, has had a dual deleterious effect on broker/agent conduct. On one level, the immaturity of new licensees inevitably leads to mistakes (unintentional violations) and misdeeds (intentional violations), especially during times of unbridled competition and profit-grabbing. This simple phenomenon quickly grows into a complex of misconduct distributed throughout the varied levels of licensee training and experience — newly-licensed agents up the competition for fees and older, more established real estate professionals follow suit in order to keep up. However, just as the starved dog cannot be blamed for biting the hand that feeds him, newly licensed real estate agents cannot be wholly blamed for their lack of training and insufficient oversight. It is the real estate broker, the agent’s supposed mentor and manager, who is ultimately responsible for the improprieties of his prodigal sons and daughters. Like a sorcerer who can no longer control the beast he has conjured into being, the boom-time broker operates in an expansionist paradigm, where the listing is king and he will employ any means necessary to obtain as many as possible. Branch offices and rent-a-broker real estate firms bear-out this point quite clearly — a perfect example of the broker who takes on more agents than he can manage. In order to fully understand the mentality of the boom-time real estate broker and how he defines his relationship with his agents, we must historicize the concept of agency and how the meaning of the term has evolved over the past 30 years. Prior to the state legislature enacting the agency disclosure law in 1986, real estate agents in the multiple listing service (MLS) environment were of the mind that the seller in a sales transaction was their client. This understanding of agency was pervasive amongst all MLS-related real estate professionals — both listing agent and selling agent alike. They took no buyer’s listings, as they had no forms to do such things, the practice being a taboo. These were the days of the agent as “broker associate” — a term almost as misleading as “sales agent,” given that neither one are entirely accurate or descriptive of the agent’s role with others. Agents behaved as though the broker was merely a figurehead — limited to simply being a conduit of the agent’s fee. For some inscrutable reason, the real estate broker provided an agent’s only means for employment but did not seem to have any of the responsibilities of an employer. This mentality led to the phenomenon, which persists today, of rent-a-broker real estate operations and the agency relationship of the rabbit and the greyhound. 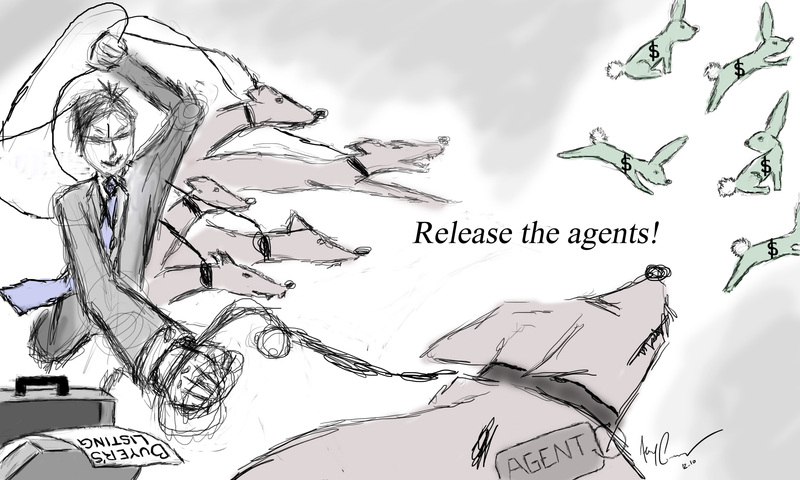 Brokers with multiple agents treated their agents like hunting dogs, trained to retrieve the elusive buyer (or seller) and drop him at the broker’s feet. In this paradigm, the agent is given the minimum amount of training to retrieve his share of the dinner, but kept ignorant of the procedures necessary to dress the kill for the feast. Of course, agency disclosure law only served to codify what was already case law and statutory operating procedure: sales agents are, in fact, agents of the agent and work in the employ of their broker, who is ultimately responsible for the client. To quote agency law seems unnecessary and redundant — after all, everyone must pass statutory courses and the state exam in order to acquire their license, and these concepts should be fundamental knowledge for every real estate licensee. But are these rules being followed in the practical conduct of real estate agents and brokers today? 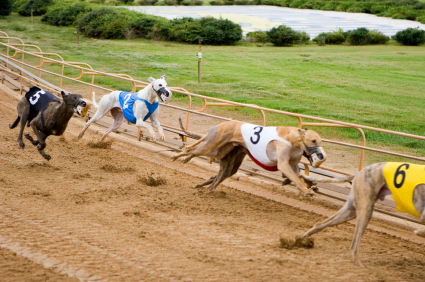 Current data indicates that the greyhound is still being sent out to the fields, untrained. The agent-to-broker ratio: who is watching the shop? The timing of this dramatic increase coincides perfectly with the vicissitudes of the market cycle. The 200,000 agents practicing in 2001 were established as licensees during a stable real estate market. As the market began its steady ascent to peak-prices in January 2006, individuals lured by the promise of easy money began the licensing process and, unfortunately for them, became active just as the pot began boiling over (mid-2005) and exactly the same time the Federal Reserve (the Fed) stepped in to shut down the excesses. Revealing another trend consistent with boom-phases in the real estate market cycle, the sales agent population increased dramatically, while the broker population remained virtually static. Broker population is more stable due to the stricter and more time-consuming experience and education requirements for licensing. Additionally, real estate brokers tend to be more committed to the real estate industry as a life-long career, which contributes to a lower attrition rate amongst broker licensees. With sales agent population on the rise and broker population remaining static, the agent-to-broker ratio increased substantially from the early 2000s up to October 2007 when the licensing of new real estate agents abruptly dropped from the 5,000 per-month level of the prior 36 months to around the 1,000 per-month level that persists to the present day. In 2001, there were approximately 2.5 sales agents for every individual broker licensed in California — a hallmark of a stable and healthy real estate market, which was maintained for most of the prior decade. After the prodigious influx of agents over the ensuing years of the Millennium Boom, the agent-to-broker ratio stretched to nearly 4.5 sales agents for every broker, thus doubling the number of agents each broker on average had to supervise. 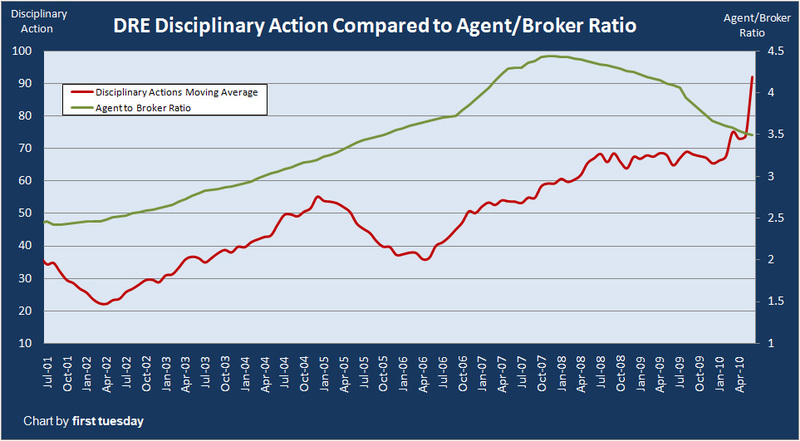 The above chart details the relationship between agent-to-broker ratio and the upward trend in DRE disciplinary action spanning the most recent boom/bust phase in the California real estate market. The two respective trend lines run almost concurrently with one another — as a greater number of sales agents enter the real estate industry with fewer brokers to train and supervise them, instances of misconduct and the resulting disciplinary action increase. Thus, the growing disparity within the agent-to-broker ratio and the attendant increase in licensee misconduct stands as both a reminder and a grave warning to real estate brokers: you bear the responsibility for the indiscretions of your agents. It is your duty, above all else, to train a competent and responsible workforce of real estate sales agents and thus fulfill the duty of care you owe to the public. As the California real estate market slowly finds its way back to the equilibrium sales volume trend line, the agent-to broker ratio will tighten-up once again and return to the stable distribution of 2.5 agents for every broker. However, although this ratio is time-honored, it is not a magic number that will right the mismanagement and lack of supervision amongst brokers, which has persisted over the past 30 years in the real estate industry. The market has sent a strong signal to brokers that their lackadaisical attitudes towards agent training and supervision must be totally overhauled. The real estate broker must resume his role as a mentor and, perhaps more importantly, a manager. The real estate broker must resume his role as a mentor. The DRE is attempting to raise the bar and restrict access to the profession by increasing continuing education (CE) requirements via legislation (although a notable political figure is stalling the process). A signal example of this effort occurred in October 2007, when statutory course work requirements for sales agent licensing increased from one to three courses. Harkening back to the not-so-distant past would serve the regulatory structure of the DRE well. A revival of the DRE code of ethics, which was a casualty of Reagan-era deregulation as carried out by Governor Pete Wilson, should be revised and reinstituted. Additionally, the DRE should reinstate the regulation requiring agents to report their personal real estate transactions to their supervising broker. Both of these standards hampered the dog-and-pony-show operations of big media brokers in the 1980s — an intervention the real estate industry is sorely in need of today. Given that the motivation to amass as many listings as possible is still deeply entrenched in the rabbit and greyhound mentality of the broker, evidenced by the listing chart on the wall and the sell, sell, sell tone of weekly meetings, the DRE must institute a new regulation to require all brokers who employ agents to obtain a mandatory office management endorsement. If such an endorsement were required for all employing brokers in the state of California, proper agent supervision would be held out as a necessity in the eyes of the DRE, rather than an inconvenience. We would see the number of disciplinary actions decline dramatically after a period of concerted DRE audit efforts resulting in a better protected public. In addition to proper management and supervision, brokers must resume their role as the sales agent’s mentor if the current culture of misconduct is to change. A new agent should be coupled with an experienced broker for at least 12 months (a runner learning the lay of the track). It behooves a newly licensed agent to find a broker who will train them. The education component of the licensing process is abstract knowledge until it is put into practice. Newly- minted agents are never capable of hitting the ground running with no one looking over their shoulder to ensure proper behavior — most do not know where the city hall is, much less a title company or county recorder’s office. As the real estate industry evolves in the aftermath of the Great Recession, the shortcuts and missteps of our licensed real estate professionals are being laid-bare, with only a small fraction of bad actors actually being prosecuted. 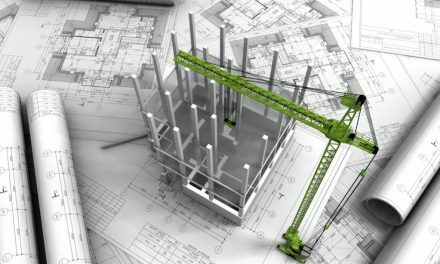 The great benefit of economic downturns and crises is the way in which they seem to magically reveal which regulatory structures are outdated and insufficient to the current period in the real estate market. The culture of the listing as king, the seller as dominant and the persistent rabbit and greyhound mentality are outmoded and must be replaced with an emphasis on the competence and willingness of real estate licensees to protect the public, primarily the buying and borrowing public. The first line of defense in the public interest should be the expertly trained and ultimately experienced real estate broker. Does the Unruh Civil Rights Act apply to laws passed by the government? Not only should DRE tighten the noose, the Realtor associations should also follow. There are many who wear the ‘R’ for REALTOR but have no idea what it stands for. 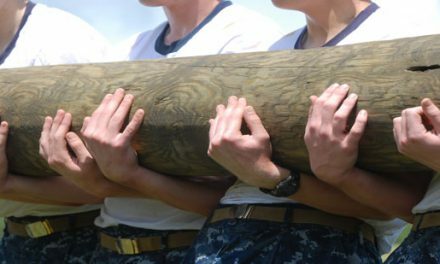 Paying a fee to join an assoc. is one thing, but wearing the R should come with experience,knowledge n creiability of the real estate industry. Would u let me opperate on you if i paid a fee to become a DR without the knowledge of the medical field. guess not. So should the Realtor Assoc. Thanks for the well written article. I’m in my 34th year as a California real estate licensee and 30th year as a broker. One of the more disturbing trends I’ve witnessed is the growth of the “team” as a sub-entity of the broker. They are often allowed to run ” their” business as a franchise of the broker. As the broker has allowed this distancing of the team’s operation from the core operation, management and supervision of the broker, it has resulted in a harmful disconnect of broker involvement and apathy toward their responsibility. This trend and the resulting damage to the real estate community and the public was recently addressed by the new commissioner of the Texas Real Estate Commission. It is something that they will be working on. California’s DRE should as well. This trend and the resulting damage to the real estate community and the public was recently addressed by the new commissioner of the Texas Real Estate Commission. It is something that they will be woking on. California’s DRE should as well.